Yes, Grandpa Addison Dilts was right. He often asserted that the Diltses were from an old, well-established early American family, that brothers from Germany immigrated before the Revolution, and that Diltses married Gustins, who were of important heritage. Grandpa Addison didn't know the details, but he had a sense that he was linked to the beginnings of American history and to families that forged the country. He enjoyed talking about his immediate ancestors who pioneered and helped settle Madison County, Indiana, in the first decades of the 19th century. Even as little children we knew that our Dilts ancestor Richard Dilts followed his brother William to Chesterfield in Union Township, and that the big brick house sitting on SR 32 was built by William and was the first inn in the county. 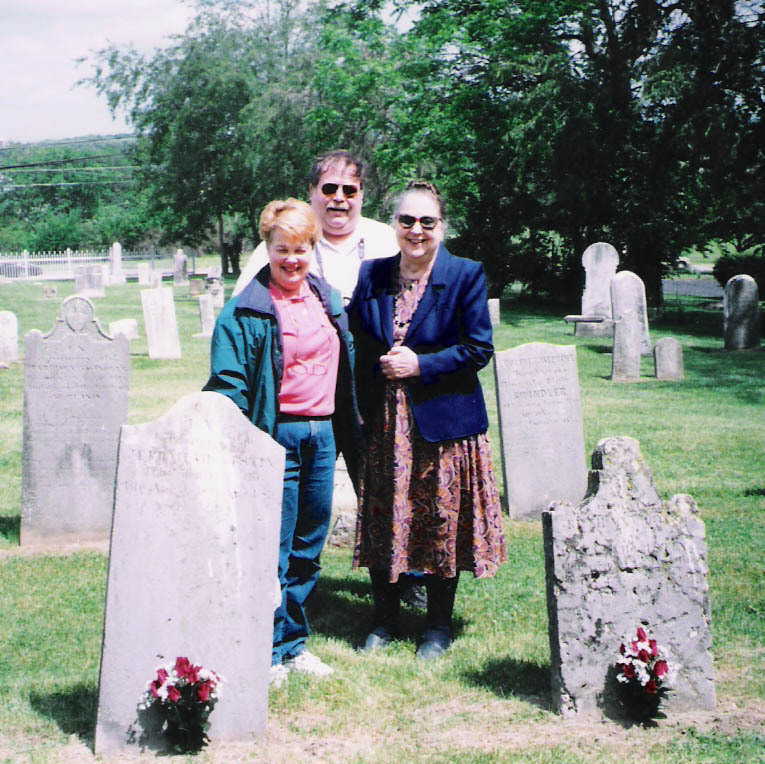 We knew that Richard's wife was Mary Gustin, and we knew where in the county our ancestors were buried. 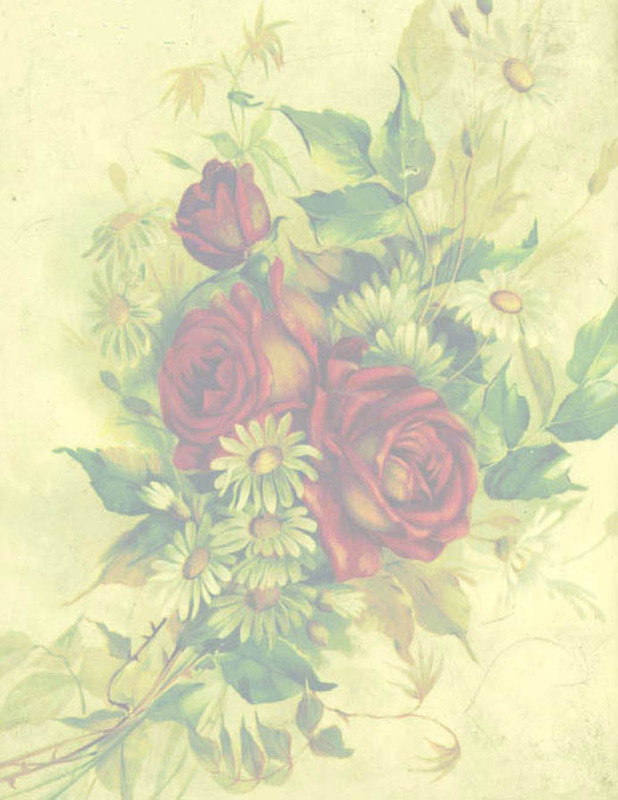 Addison's wife, my Grandmother Nellie, was not without her family pride. After all, both sides of her family came from Maryland--Frederick County, to be specific. She had Mains, Kuhns, and Pryors who went back generations in that part of America. We heard something about Wolfsville and that there was a book written about the Mains. In the 1970s, Addison and Nellie's daughter, Katherine, my mother, took up the challenge of discovering more about her family. This was before the world wide web and internet. All the genealogical research had to be done the hard way: on foot, by hand, through mailing and traveling and digging through papers and records. 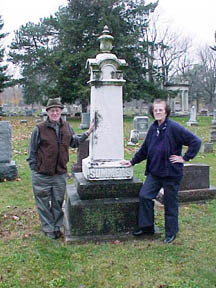 Mother learned that the Diltses did, indeed, immigrate in the early 1700s to the colony of New Jersey, that Richard and William's father was a Francis, who helped settle the Dayton, Montgomery County, Ohio area, and that brothers Richard and William married Gustin cousins Mary and Jane, respectively, both from Warren County, Ohio. 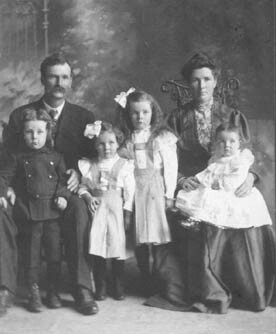 Mother was also able to go two more generations back from Mary and Jane Gustin to their grandparents Jeremiah Gustin and his wife Bethany Fuller. This was also about the time that I started dating a high school classmate of mine, Tom H ull. Tom and I had been together in marching band and in various college preparatory classes. I had just graduated from college and Tom was finishing his degree. We had shared so many laughs in high school that dating was just an extension of our friendship. For lack of anything better to do for fun one day and since Mom was still doing this genealogy "thing," we decided to go searching through cemeteries for ancestors. We got some basic information from our parents and went on adventures. Tom's mother's family were recent immigrants from Ireland--Walshes, Enrights, McCormicks--who had settled Lincoln, Nebraska, so they were too distant geographically. 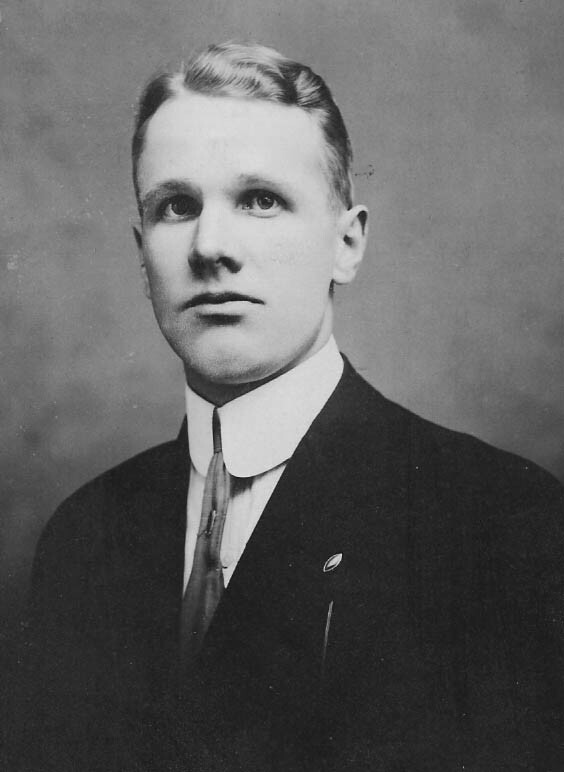 However, his Hulls had been in Madison County for generations, and the Perrins were originally from Kentucky. Armed with names, dates, and county maps, off we went making notes and filling in blanks. My father's family, the Summers, were just the opposite, genealogically speaking, of my mother's. The only thing that had been handed down to Dad was that his grandfather John Elsworth Summers was from Winchester, Indiana. Dad had no family history, no names of great-grandparents, no places, no original origins. In fact, he believed he was English. The Summers family was a mystery as were the Recks, the maiden name of his paternal grandmother. Dad's sister Roberta did maintain that a Summers ancestor once owned the land on which the city of Dayton, Ohio, now exists and that the grandfather from Winchester had been disinherited--which would explain the lack of family information. Dad did have memories of his maternal grandparents, David and Lilly Stevens Decker. Fortunately, several of their descendents, distant cousins of mine, had written down stories about that side of his family. While Dad's male line was a mystery, his female side was well "fleshed-out" and filled with soldiers and all kinds of interesting "characters," many of whom had been pioneers to Kentucky and the surrounding areas of our Madison County. We are the chosen. In each family there is one who seems called to find the ancestors, to put flesh on their bones and make them live again, to tell the family story and to feel that somehow they know and approve. Doing genealogy is not a cold gathering of facts but, instead, a breathing of life into all who have gone before. We are the storytellers of the tribe. All tribes have one. We have been called, as it were, by our genes. Those who have gone before cry out to us, "Tell our story!" So, we do. In finding them, we somehow find ourselves. How many graves have I stood before...? I have lost count. How many times have I told the ancestors, "You have a wonderful family; you would be proud of us." How many times have I walked up to a grave and felt somehow there was love there for me? I cannot say. It goes beyond just documenting facts. It goes to who I am and why I do the things I do. It goes to seeing a cemetery about to be lost forever to weeds and indifference and saying, "I can't let this happen." The bones here are bones of my bone and flesh of my flesh. It goes to doing something about it. It goes to pride in what our ancestors were able to accomplish, how they contributed to what we are today. It goes to respecting their hardships and losses, their never giving in or giving up, their resoluteness to go on and build a life for their family. It goes to a deep pride that the fathers fought and some died to make and keep us a nation. It is of equal pride and love that our mothers struggled to give us birth. It goes to deep and immense understanding that they all were doing it for us, that we might be born who we are, that we might remember them, and so we do. Without any of them, we could not exist, and so we love each one as far back as we can reach. With love and caring and scribing each fact of their existence, we are they and they are the sum of who we are. That is what calls those young and old to step up and restore the memory--or greet those whom we have never known before. ------------------------------------------------------------------------------------------------------------------------------------For those viewing the genealogy charts, the individuals underlined are my family's direct ancestors. Above pictures top to bottom: Addison Dilts; John Walsh Family; John Summers and Roberta Summers Ayers at the gravestone of their great-great grandfather Charles Summers; descendents of Jeremiah Gustin and Bethany Fuller Gustin: Melody Summers Hull, Tom Hull, and Katherine Dilts Summers. Also of note, the watercolors used as the background or wallpaper for most of these pages are the artwork of my father John Phillip Summers. If you are related to any branch of our extended family, I invite you to e-mail Melody at <thull@iquest.net> .